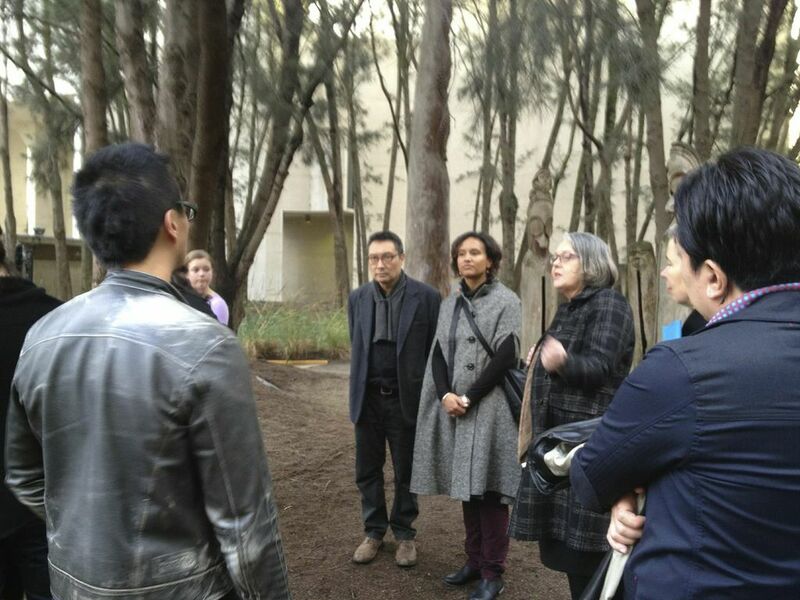 The Asian/Pacific/American Institute at NYU launched the first phase of the inter-institutional Global Asia/Pacific Art Exchange from July 8-22, 2013 in Shanghai, China; Hong Kong; and Wollongong, Sydney, and Canberra, Australia, focusing on Asian/Asian diasporic art globally. The exchange brought together scholars, curators, and artists from each site and is meant to be generative for research, resulting in publications, exhibition development, and other research-based projects and programs to share and disseminate research, strengthen international networks of scholars and curators, and create ongoing dialogue between international colleagues, arts communities, and wider publics in the US, Asia/Pacific region, EU, Latin America, Africa, and Middle East in the expanding field of Asian/Asian Diasporic Art and Visual Cultures. For more information, contact Alexandra Chang, A/P/A Institute at NYU, achang@nyu.edu. Global exchange scholars with colleagues in Canberra during a working session hosted at Australian National University Center for European Studies. Photo by Thomas Looser, 2013.